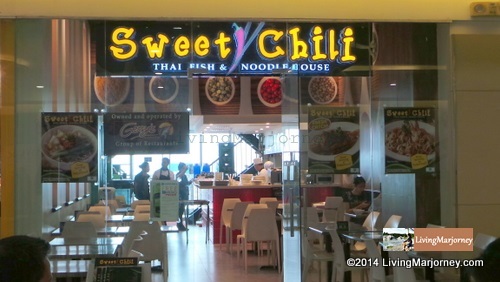 Sweet Chili is owned and operated by Gerry's Group of Restaurants. It's located at the 5th floor just beside Goldilocks. 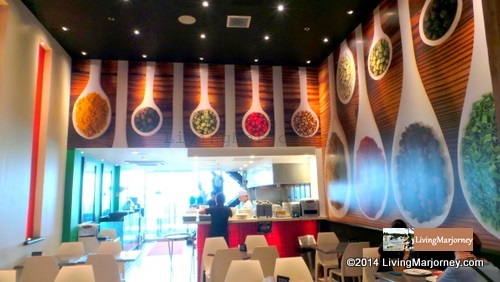 Inspired by Thai culture, Sweet Chili has a nice interior with huge colorful spoons of herbs as a wall decor. They have fruit shakes but I decided to try Thai Milk Ice Tea and Thai Lemon Ice Tea. 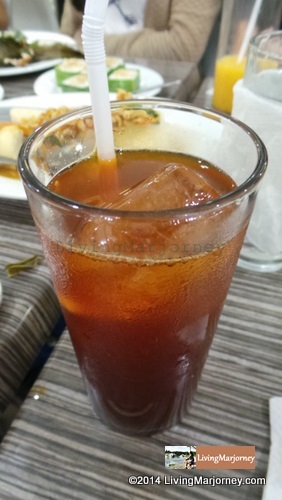 I love the former, it has the perfect sweetness and richness of Thai milk tea. 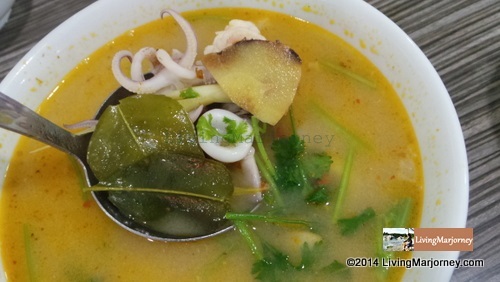 We were served with hot bowl of Seafood Tom Yum cooked with fresh shrimp, squid, fish in authentic Thai herb soup. I find it too spicy yet delicious and really tasty. The flavors linger in my mouth. It's a great seafood soup this rainy and cold season. 5 kind herbs, sweet and sour sauce with garlic and Thai sauce. We had the five kind herbs which has the balance of sweet, sour and garlic flavor. It's highly recommended. 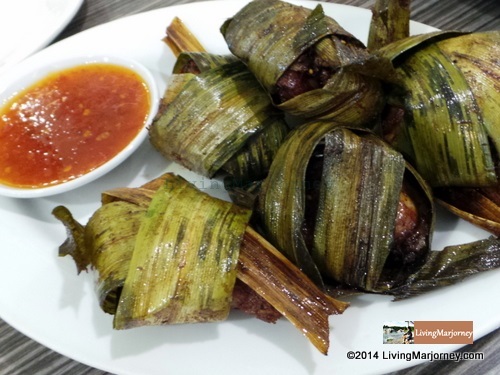 Don't miss the Chicken Pandan P265 as well. Chicken was very tasty and even smells yummy. 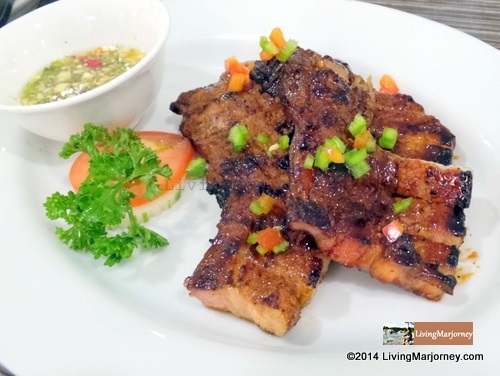 Grilled liempo (P175) was okay. 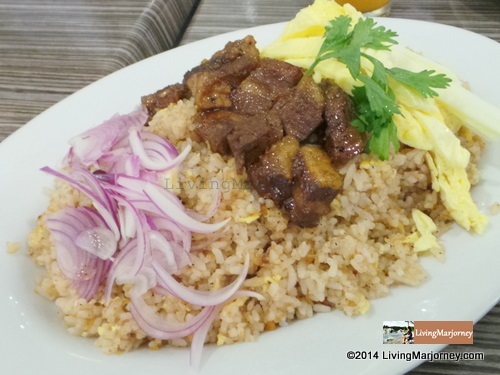 Phad Thai with egg (P185) and Bagoong rice (good for four P185) deserve a mention. They were the crowd's favorite. 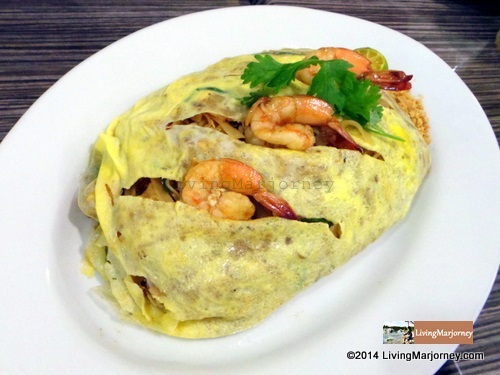 Aside from it has a huge serving, I also noticed the generous ingredients of shrimp. 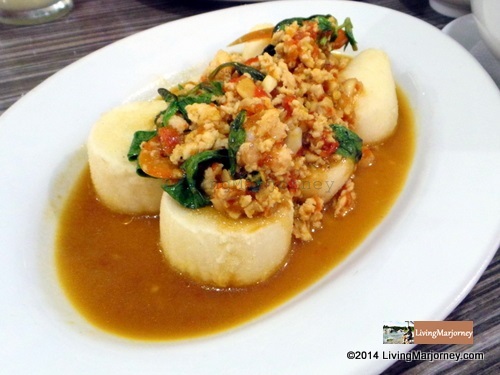 I should not forget the tofu dish, sorry that I forgot the name. Anyway, here's a sumptuous photo of the soft tofu dish. I had enough of King Fish, tofu and binagoongan rice. The Phad Thai and Tom Yum were also good. 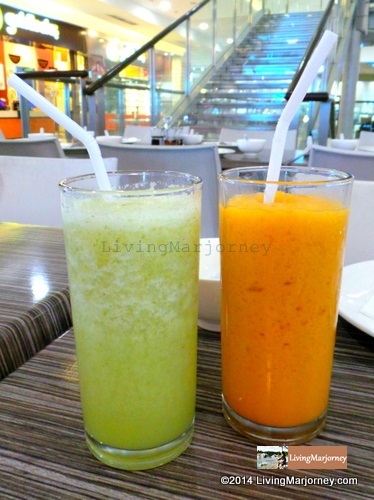 Thai Milk Tea was so refreshing but hubby find the Kamias shake more refreshing. 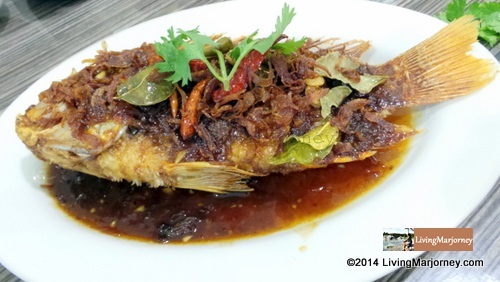 Sweet Chili has a wide range of Thai dishes and each dish were very affordable.